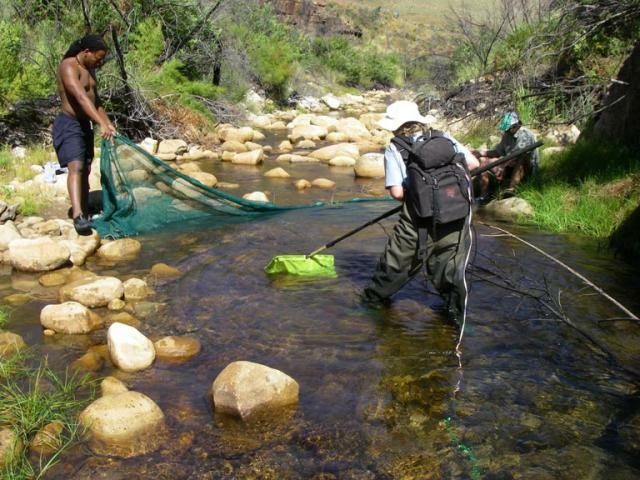 Electrofishing in the upper Rondegat River, Cederberg, Western Cape. 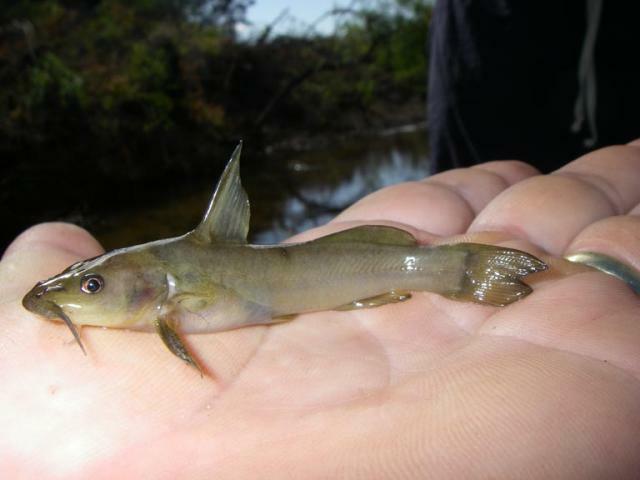 The charismatic but secretive Clanwilliam rock catfish (Austroglanis gilli) is one of four native fishes that have been eliminated from reaches occupied by smallmouth bass in the lower Rondegat River. 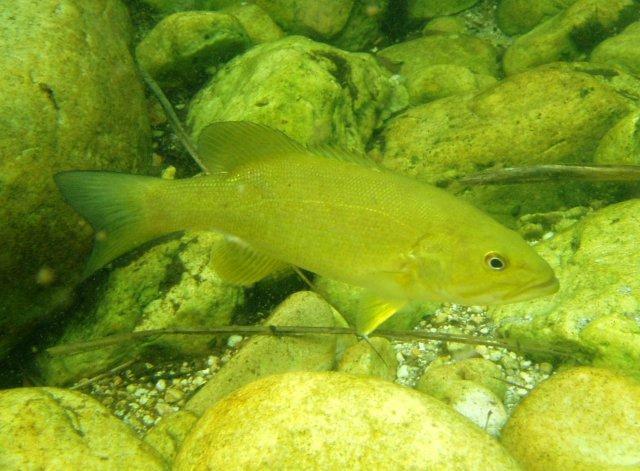 Invasive alien smallmouth bass (Micropterus dolomieu) have extirpated four fish species from the lower reaches of the Rondegat River. 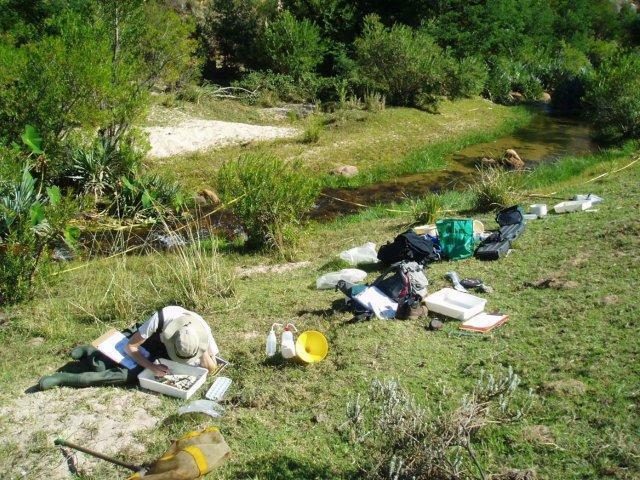 Aquatic invertebrate sampling on the Rondegat River, in the area scheduled to be treated with rotenone to remove invasive fish. 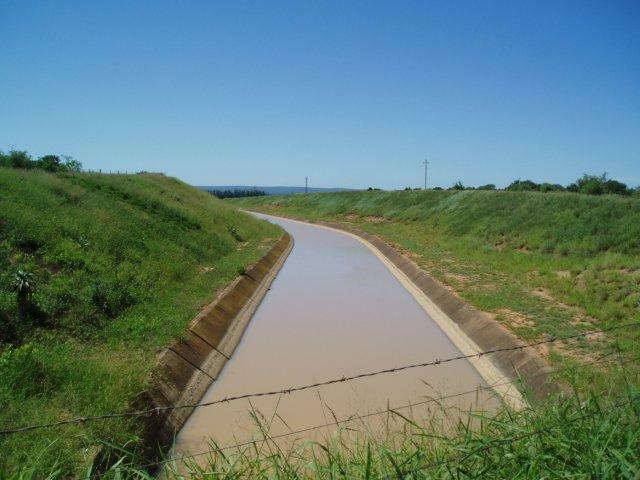 Canal forming part of the Sundays River Irrigation Scheme, which feeds water originating in the Orange-Vaal catchment to small irrigation reservoirs across the Sundays catchment. 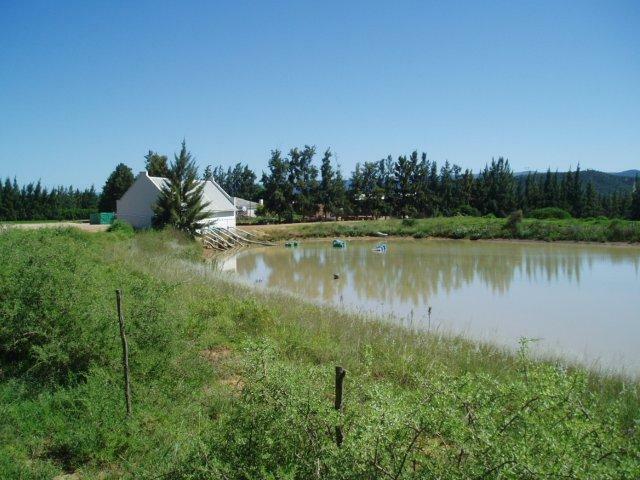 A small irrigation reservoir that supplies water from the Sundays River Irrigation Scheme to orchards on the border of the Addo Elephant National Park. 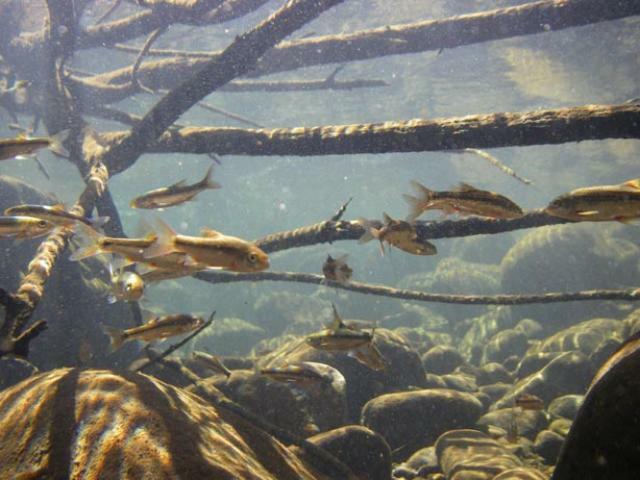 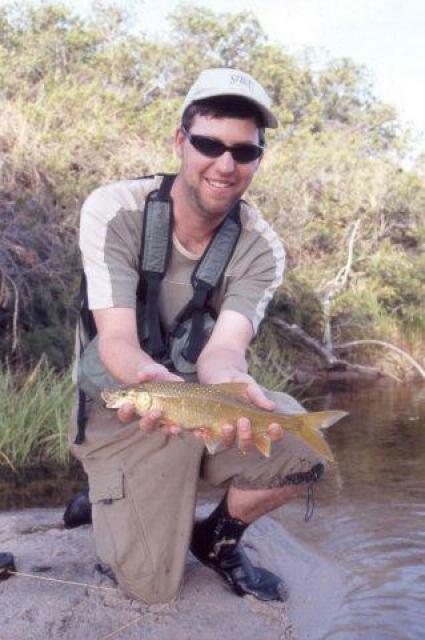 Clanwilliam yellowfish (Labeobarbus capensis), native to the Rondegat River.